Feel the magic of the Red Centre as you fly into Ayers Rock today. 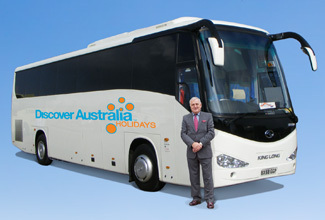 You will be transferred from Ayers Rock Airport to your hotel. Relax and spend the rest of the day making use of the hotels facilities or take a short stroll around Ayers Rock Resort. This afternoon, get picked up from Ayers Rock Resort and tour north to Alice Springs. Learn about the landmarks and history along the way from your informative guide. Take in views of Atila (Mt Conner), a flat topped mountain rising over 300 metres that is often mistaken for Uluru. Arrive in Alice Springs this evening and be dropped at your central Alice Springs hotel. Tour to Alice Springs with Hotel Pick Up, Overnight Alice Springs Accommodation. Travel west on Larapinta Drive, passing the John Flynn Memorial (foot of the Mt Gillen), see what remains of the twin ghost gums (famous painting by Albert Namatjira), stop at Standley Chasm (amazing red cleft that glows) for a delicious morning tea, perhaps walk into the Chasm (Angkerle Creek bed). Stop at Ellery Creek Big Hole (optional short walk to the cool waterhole), visit the Ochre Pits and Glen Helen Gorge (semi permanent waterhole) before your scrumptious lunch (with beer, wine or soft drink). Experience Ormiston Gorge and waterhole, with time to enjoy the refreshing waterhole (perhaps have a well deserved swim). Visit Simpsons Gap, all the time spotting for the amazing wildlife such as eagles, kites and falcons (soaring above the range on warm currents) as well as black footed rock wallabies and desert lizards. West MacDonnell Ranges Luxury Day Tour with Hotel Pick-Up, Morning Tea, Guided Walk, Ploughman Lunch, Overnight Alice Springs Accommodation. Today marks the end of your Central Australian adventure. You will be personally met at your hotel by a DISCOVER AUSTRALIA representative and transferred from your hotel to the airport to meet your flight home. You will be transferred from the airport on arrival in Ayers Rock to your Ayers Rock Resort hotel. You will also be personally met at your Alice Springs hotel by a DISCOVER AUSTRALIA representative and transferred from your hotel to the Alice Springs airport to meet your flight home. You’ll receive the FREE DISCOVER AUSTRALIA Bonus Voucher Book that includes $500 value of discounts and bonuses throughout Ayers Rock, Alice Springs and the NT at shops, restaurants attractions etc. 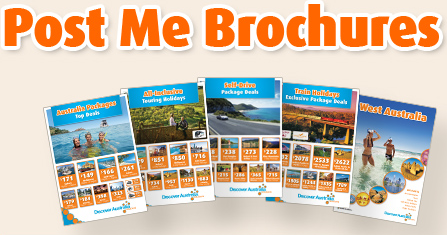 It’s a great way to save even more on your Ayers Rock & Alice Springs holiday. The Uluru Ayers Rock & Alice Springs All-Inclusive is very popular. Many dates book out well in advance, please book soon.